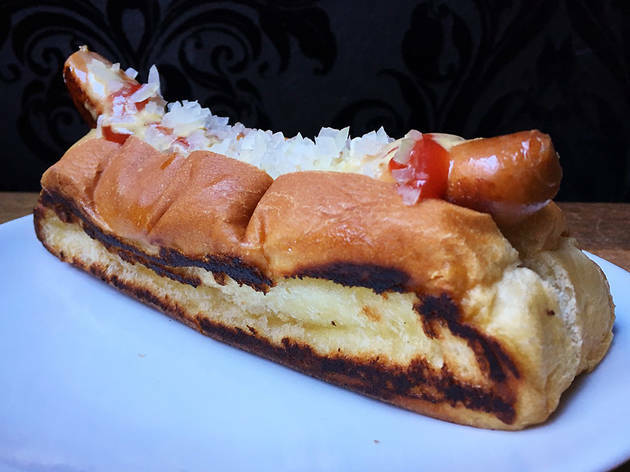 Alongside a variety of sandwiches and burgers, Red Apron Butchery serves up a haute dog that’s, well, hot. Smoked paprika, mace and spicy mustard give the pork sausage a nice kick. 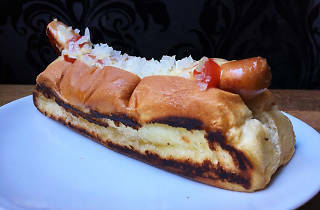 Topping options include ketchup, diced onion, bacon kraut, relish and chili—all served on a toasted New England roll.